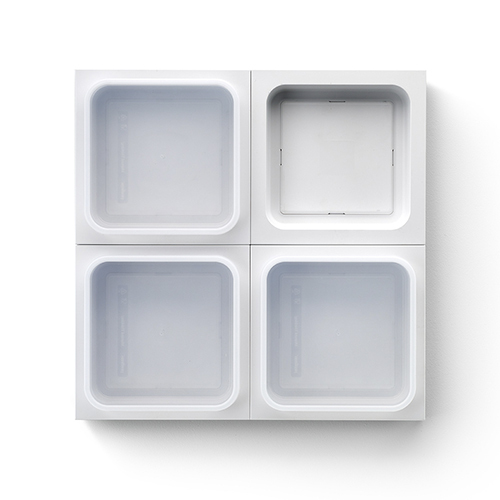 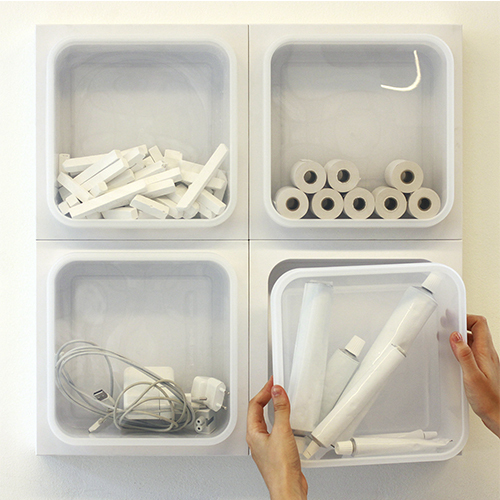 The Manual Thinking® Box is a modular wall organizer with which you can store all your objects at hand and at sight. Each module consists of a base which is fixed to the wall, available in a variety of colors, and a transparent box which can be easily placed and removed from the base. 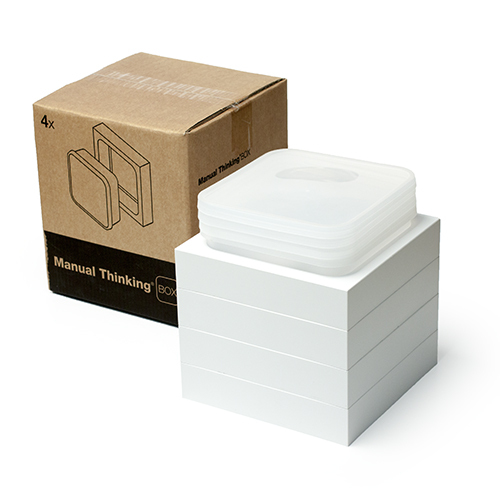 Use the Manual Thinking® Box to store any objects from tools to toys, and ingredients to office materials. 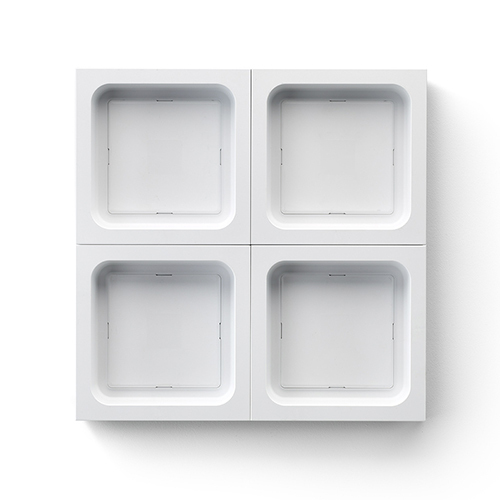 A practical, clean and esthetical solution for both domestic and work areas. 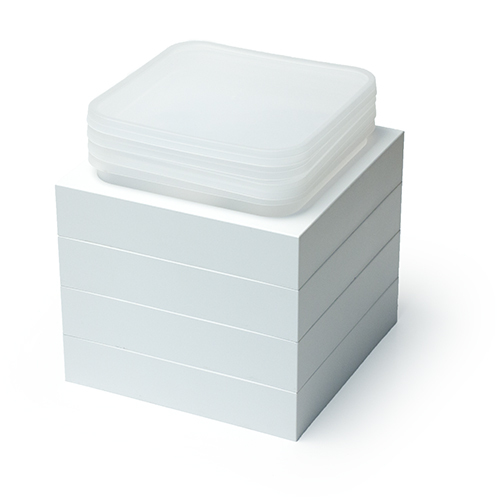 Includes high performance double sided tape for quick and safe installation, and screws+plugs for installation on rough or unstable surfaces. 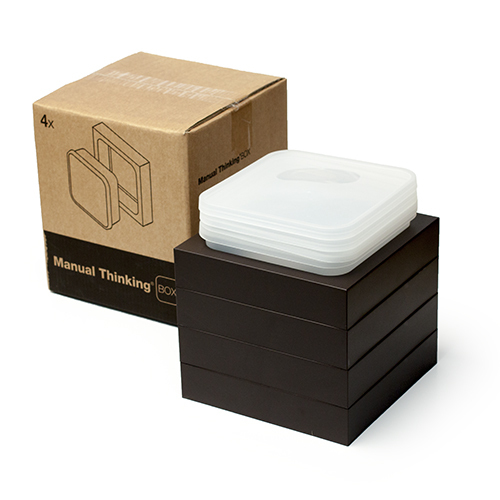 Manual Thinking® Box is suitable for containing foods. 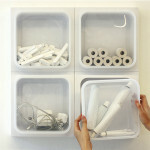 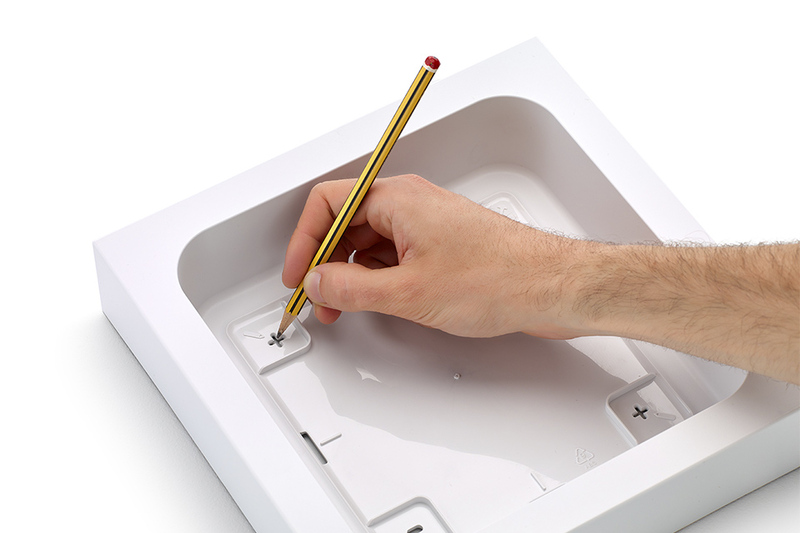 The Manual Thinking ® Box comes with all the necessary materials to fix it to your wall quick and easy. 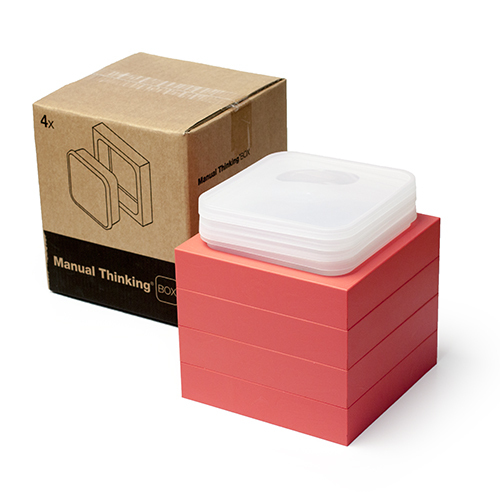 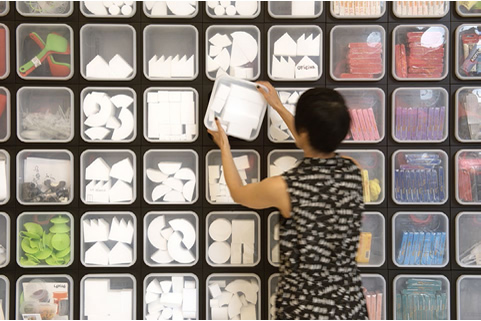 The Manual Thinking ® Studio is a workspace for creative teamwork, where the Manual Thinking ® Box is used to house hundreds of objects for inspiration and idea creation. With the Manual Thinking ® Box wall organizer, storing toys is easy and fun. 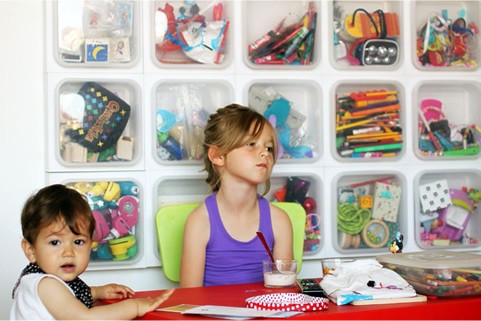 What will your kids choose to play with today?